But I wasn't alone.. 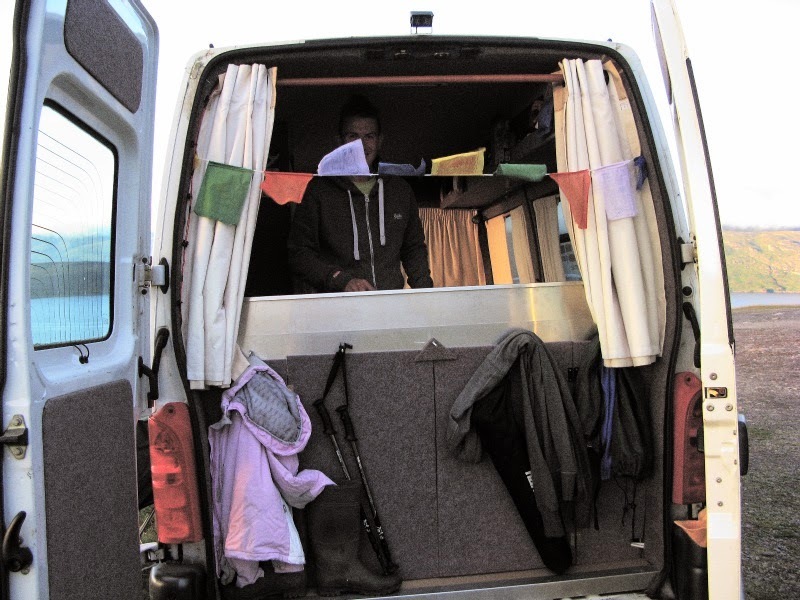 I soon found I was sharing the spot with Stephen and Becky from 'Never Settled' van life page. 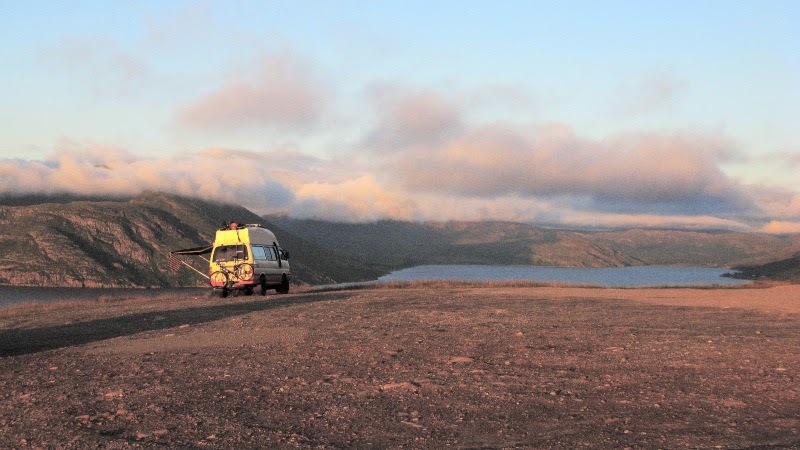 We soon got to talking, and over a beer discussed the ins and outs of living and touring the Highlands in a van. While all sharing similar motivations for living and travelling, everyone has a slightly different model for building their nomadic lifestyle. 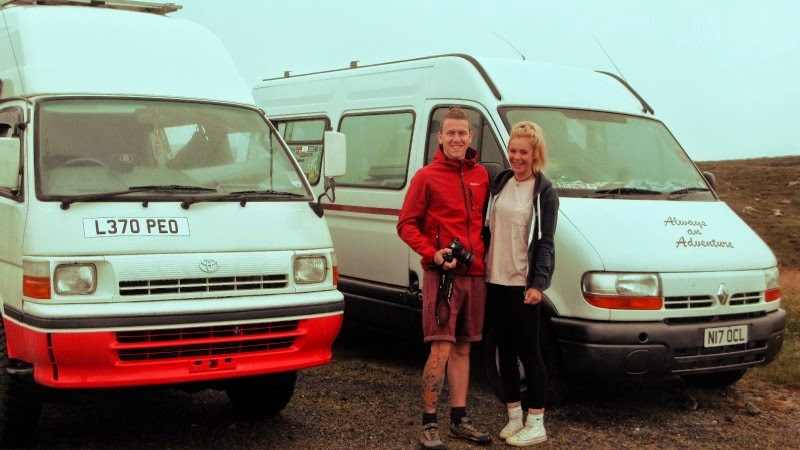 The inspiring young couple have been wild camping and WWOOFing around their native Scotland, and plan to return to work over the winter to cover the costs of continuing their trip in the spring, before looking ahead to travel in the rest of Europe sometime in the future..
Their chosen vehicle was a Renault van. 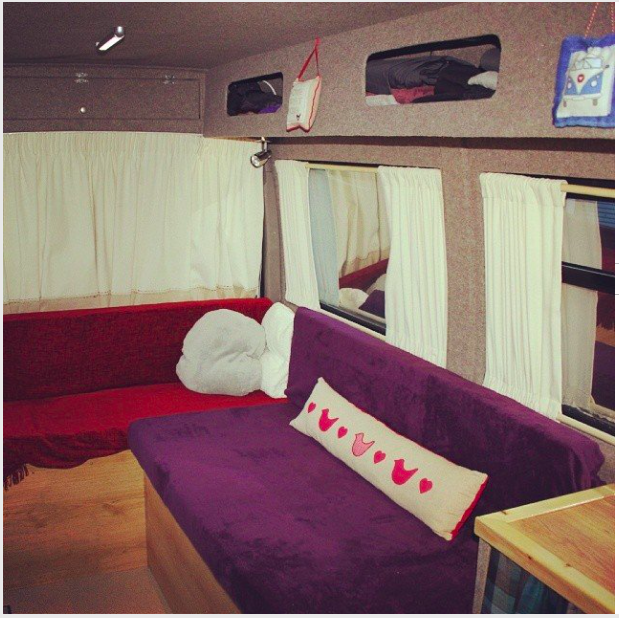 It had been a former passenger ambulance which they had skilfully self-converted, and turned into a home on wheels with ample space for two. I was especially envious of the full size kitchen sink, and the clever use of space which leaves room for additional items to be added as they are needed in the future. Very impressed! 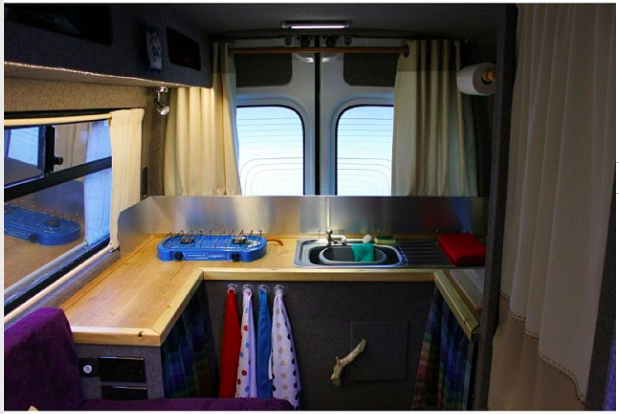 With the rear doors open and the kitchen at the back Stephen enjoys cooking dinner in the fresh air! Thanks guys for the lovely vegetable curry, the cheerful conversation and the inspiration. I hope our paths will cross when you head back up west again! If you'd like to see more of Stephen and Becky, you can find them on Instagram at @neversettled or look for their Facebook page 'Never Settled'.